Johannesburg - Amid reports of South Africa’s top two networks charging up to 2 639% more for out-of-bundle data, Vodacom has said it is normal business practice to offer discounts to customers that make longer term commitments. Despite a push by government and the Independent Communications Authority Of South Africa (Icasa), out-of-bundle data rates are much more expensive than in-bundle. MyBroadband recently revealed that data rates on both the Vodacom and MTN networks were reported to be exponentially higher when users ran out of data bundles. It was reported that while on contract, a Vodacom 20GB data bundle cost R329, which worked out to R0.02 per MB, but out-of-bundle the rate per MB was R0.44, 2 630% higher than an in-bundle rate. Similarly, MTN’s 25GB prepaid bundle costs R1 250, equating to R0.05 per MB and out-of-bundle cost R0.99 per MB, 1 928% more expensive than in-bundle. Meanwhile, the prepaid price for 20GB on Vodacom worked out 204% higher, being priced at R999 as opposed to the R329 on contract. MTN’s prepaid versus contract offering was hiked by 234% with 20GB on prepaid costing R299 and 25GB on prepaid at R1 250. “This as recurring revenues allow for more accurate forecasting upon which better-informed business decisions can be taken. As part of Vodacom’s pricing transformation journey, effective voice and data prices have declined by more than 40% over the past three years,” a company spokesperson said. The spokesperson went on to say that bundles are a committed purchase that provides the company with a greater deal of certainty as to when the service will be used. “This means that we can plan / provision network capacity with a greater degree of accuracy. As part of our pricing transformation strategy, Vodacom significantly reduced out-of-bundle prices in October last year and recognises that more needs to be done on this front. 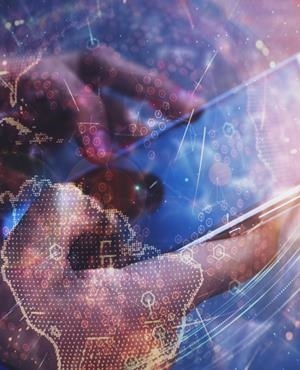 "To encourage customers to remain in-bundle, Vodacom has introduced a variety of initiatives in recent times including auto allocate, safety bundles and smart notifications,” the spokesperson told Fin24. The report came amid a promise made across all networks to extend the validity of data bundles and a decrease in the cost of data overall. Last month Fin24 reported that Minister of Economic Development Ebrahim Patel said that government would prioritise bringing down data costs as part of developing an economy in line with the fourth industrial revolution. Patel spoke on efforts made to develop the economy to be more inclusive during the debate in Parliament following the State of the Nation Address. Patel further stated that government would focus on bringing down data costs through the competition market inquiry into data services and expand the infrastructure for data by finalising the release of a new telecommunications spectrum. Last year Icasa stepped into the ongoing row between consumers and network providers over the high cost of data by releasing draft regulations on out-of-bundle data pricing and expiry. Icasa stated that costs were still not consistent with the Consumer Protection Act, according to the National Consumer Commission (NCC). The draft regulations propose that network providers give data depletion notifications at regular intervals, as well as notifications when the data bundle has run out and an option to buy additional bundles - which still did not address out-of-bundle rates. Responding to Icasa regulation SA networks extended the validity of data bundles resulting in a slash in rates. MTN SA CEO Godfrey Motsa previously said that the network would be cutting data costs to 29c for its "Accidental users" who typically use less than 5MB per month, and those who use more could now expect to pay 60c out-of-bundle.